With their seventh album, the scope of Trio Mediaeval’s music continues to expand. Previous ECM New Series releases have focussed on aspects of early music, particularly sacred monophonic and polyphonic medieval music, as well as the trio’s strong relationships with contemporary composers. In parallel, the trio has also investigated the world of traditional folk songs. Now Rímur emphasises the group’s interest in improvisation, in a collaboration with trumpeter Arve Henriksen, which also explores music from diverse Northern sources. 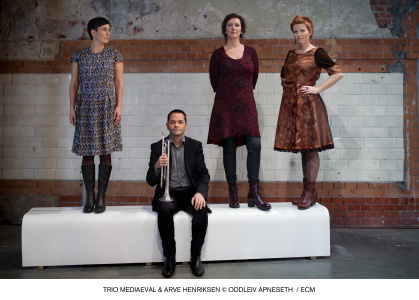 As Anna Maria Friman indicates in her liner note, improvisation has long been a significant component of Nordic musical tradition, and Trio Mediaeval has embraced it with enthusiasm. “Over the last ten years we have been fortunate to be involved in new collaborative projects with Norwegian jazz musicians and improvisers, and the inspiration and creativity that these musicians brought to the music and to the group have been hugely significant for us.” The trio has worked with Tord Gustavsen, Trygve Seim, Nils Økland, Mats Eilertsen, and many others. 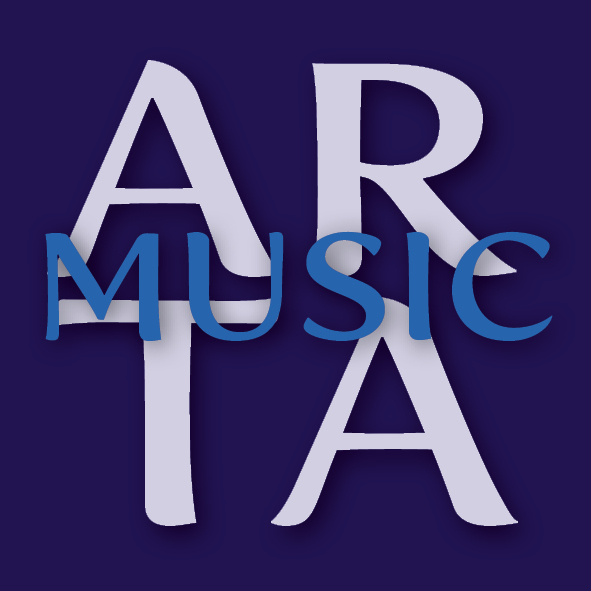 Arve Henriksen has often performed with Trio Mediaeval in live settings (and the singers and trumpeter appear together on Sinikka Langeland’s recent recording The Magical Forest) but Rímur is their first extensive collaboration on disc. The roots of the present project go back to 2007 when Trio Mediaeval and Arve Henriksen took part in a ceremony in Dalksfjorden on Norway’s west coast celebrating connections between the village of Rivedal and the Icelandic capital of Reykyavík, founded by Norse settler Ingólfr Arnarson. Over several summers Trio Mediaeval and Arve Henriksen spent many days together in Dalsfjorden, and it was there that most of the music for this recording was born. Fascinated and inspired by Icelandic sagas, chants, folk songs, religious hymns and fiddle tunes, the four musicians have arranged a unique set of songs where improvisation, mediaeval and traditional music – from Iceland, Norway, Sweden and the Orkney islands – meet the present. Something new is created from the integration of Henriksen’s liquid trumpet sound into the Trio Mediaeval’s subtle blending of voices. Trio Mediaeval was founded in Oslo in 1997. Its original members were Anna Maria Friman, Linn Andrea Fuglseth, and Torunn Østrem Ossum. When Torunn left the group at the end of 2013, she was replaced by Berit Opheim, who had been singing regularly with the ensemble since 2010. The first album with the revised line-up was Aquilonis, released in 2014. Arve Henriksen has appeared on many ECM albums over the last two decades, beginning with the 1996 recording No Birch with the Christian Wallumrød Trio. He was recently featured in the Atmosphères quartet with Tigran Hamasyan, Evind Aarset and Jan Bang. Sampled voices of The Trio Mediaeval were incorporated into Henriksen’s Cartography (recorded 2005-2008), an album on which Anna Maria Friman also makes a guest appearance. Rímur was recorded in February 2016 at Munich’s Himmelfahrtskirche, and produced by Manfred Eicher. CD booklet includes all song texts with English translations, and a performer’s note by Anna Maria Friman.